One of the cornerstones of excellent dentistry is the preservation of your natural teeth. There are times, however, when a tooth may be doing you more harm than good, and you need to have it extracted. Dr. Vivian Mauriello and Dr. Joseph Mauriello at Mauriello Dental in Fort Lee, New Jersey, have decades of combined experience in extracting teeth as quickly and painlessly as possible. If you need to have a tooth pulled, call or schedule an appointment online. Your wisdom teeth often present problems due to their late arrival. Because your other teeth are firmly in place, wisdom teeth often have nowhere to erupt, forcing them to become impacted or grow at an odd angle. Whether due to gum disease, trauma, or untreated decay, your tooth may become so compromised that it’s beyond saving. By having Dr. Joseph or Dr. Vivian Mauriello extract the tooth, you can prevent the decay or infection from affecting neighboring teeth. 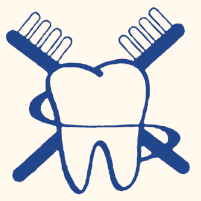 There are times when you may need to sacrifice a tooth for the good of your overall dental health. For example, if you’re trying to fix a condition, such as an over- or underbite, extraction may be necessary to make room for orthodontic treatment. What is the process for extracting a tooth? Thanks to modern dentistry, a tooth extraction is a precise and painless procedure. Sophisticated imaging, combined with advanced surgical techniques, allow Drs. Joseph and Vivian Mauriello to quickly extract your teeth without causing any collateral damage. For the extraction, one of the dentists gives you a local anesthetic to numb the pain and removes the tooth, all the way down to the roots. What is the aftercare for a tooth extraction? Once the area has healed, you’re free to eat normal foods again and brush your teeth as you usually would. If you need to have a tooth extracted, call Mauriello Dental, or use the online booking tool to schedule an appointment.